We are excited to invite you to participate in Operation Jump 22 on Saturday, 11/11/17. This fundraiser for Mission Volant will support more than 50,000 soldiers who were wounded in the Afghanistan War and to help prevent veteran suicide. Their mission is to raise funds for combat wounded veterans by changing their lives in a spectacular way, by helping them adjust to civilian life. This is a major challenge for Veterans — and sadly, as a result, an average of 22 veterans commit suicide every day. 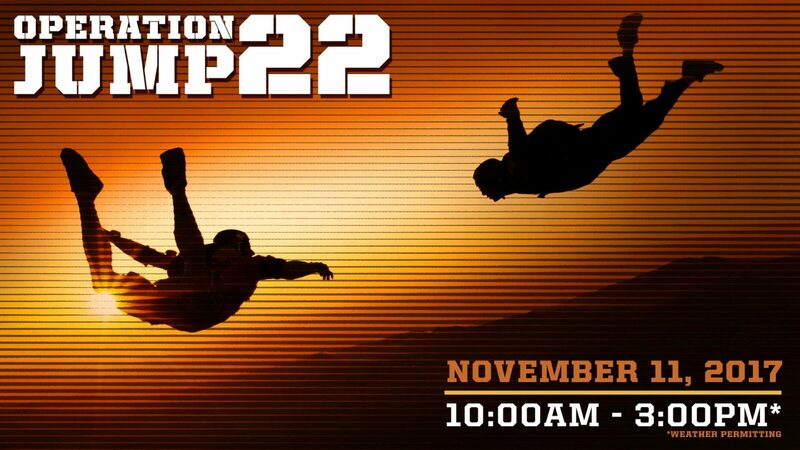 Operation Jump 22 is a skydiving event to help raise funds and awareness for our veterans. 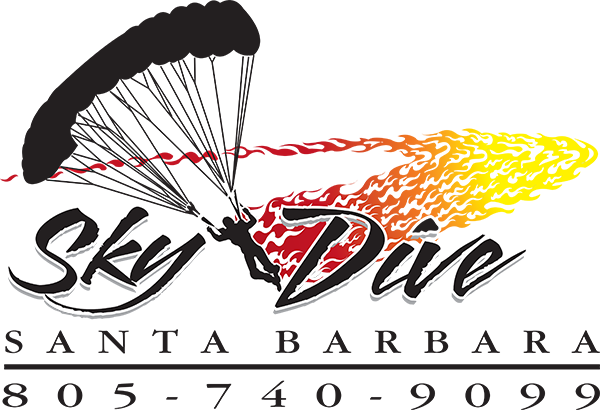 You don’t have to skydive to participate, but if you’re going to jump, why not make it for a good cause? Cost: Jump from 18,000 ft for $299 or 13,000 ft for $189. Mission Volant started as a simple idea: to change the lives of combat wounded veterans in a spectacular way, challenging them in unfamiliar territory. They address the reality that most veterans, after their service to our country, are left feeling unchallenged, with little self-worth and often without direction. Mission Volant is a resource of insight, community, and inspiration. Call us at (805) 740-9099 and let us know you are jumping with “Operation Jump 22.” We will be jumping on 11/11/17 and will take a $50 deposit to save your spot (you can pay in full if you want). Register on our website here. Book your spot for 11/11/17 between 10am and 3pm. Make sure you add Coupon Code: OPJ22.  This will let the skydive center know you are with the event. Book online now here. Whether you want to jump for free or just raise sponsorship donations for you jump, you can get your own donation page to keep track of all the donations you personally raise. Raise $500 and Mission Volant will pay for a tandem skydive at 13,000 ft.
Raise $650 and Mission Volant will pay for a tandem skydive at 18,000 ft.
Once you have reserved your spot please email us at info@operationjump22.com or go to www.operationjump22.com/jumpfree/and you will be set up with your donation page. If you can’t make it to the event but still want to help support Operation Jump 22, you can donate to Mission Volant here. You can also check out more details and visit the Facebook event here.